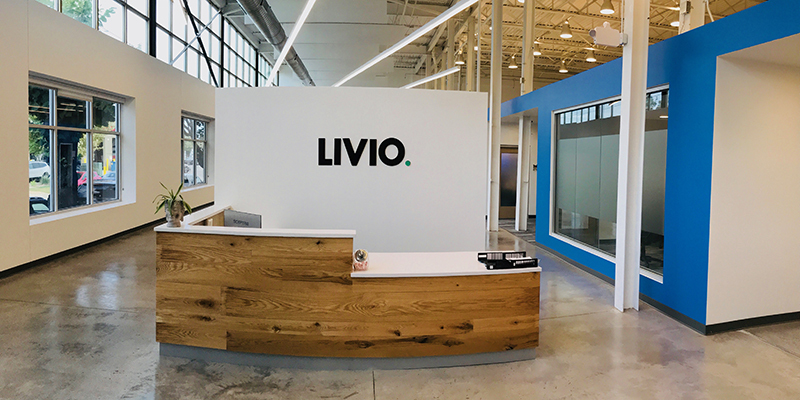 This week, Livio Health Group’s new office space was featured in the “Cool Office” section of the Minneapolis/St. Paul Business Journal. The 12-week project produced a dynamic space for the growing health care company and satisfies the needs of their traveling health care providers. Located in Northeast Minneapolis, the renovated building can accommodate over 100 employees and includes a variety of private spaces well-suited for phone calls, collaborative meetings, nursing mothers, and prayer privacy. The building’s high ceilings make way for future mezzanine offices. Access to an indoor parking ramp was worked in to the building design, as was the lab space for medical supplies and testing. The project’s development can be attributed to Dan Altstatt, tenant advisory specialist with Colliers International. We thank Kaas Wilson Architects for their team’s interior design and architectural services. A big thanks to our construction management team for the successful project delivery. Click here to read the Minneapolis/St. Paul Business Journal full article.